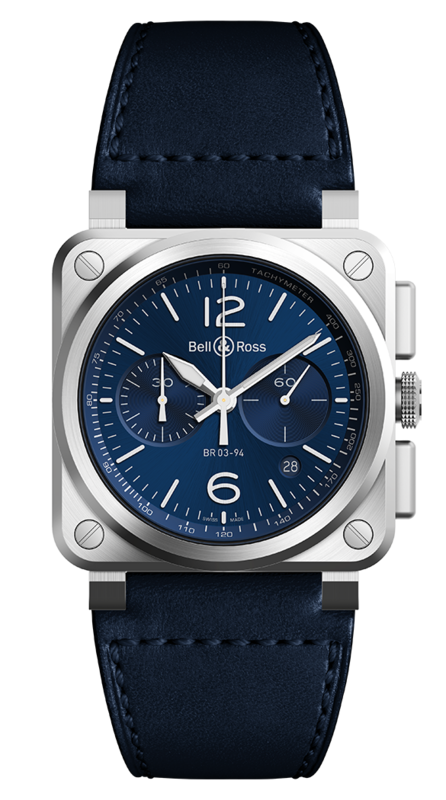 Dial: blue. Metal applique numerals and indices. Metal skeleton Superluminova®-filled hour and minute hands. Straps: blue calfskin and ultra-resilient black synthetic fabric.